Smartphones have completely changed our lives in ways most of us couldn’t have imagined. Prior to 2007, a cool phone took video and loaded really basic webpages. The iPhone led the revolution, and now people spends hours a day scrolling mindlessly through social media or playing a myriad of games. Phones have become a distraction and are often seen as a problem, yet hidden within all of those high-tech features is really cool, life-saving function. Imagine you are walking back to your care after a light night movie. Something doesn’t feel right, and you find yourself in a questionable situation. Silently, you are able to activate Emergency SOS mode. If things go south, you can quickly swipe to place a 911 call. This keeps you from having to fumble to unlock your phone, open the phone app, and dial 911. That truly takes too much time in an emergency situation. The cool part is, you can also have it automatically contact people that you’ve designated. A husband could have it automatically contact his wife. Have an elderly parent? Have it notify you when they contact 911. Sending your kids on a field trip or to a friends house? Have it notify you in case something happens. To activate it, simply press the right side button AND one of the volume buttons. 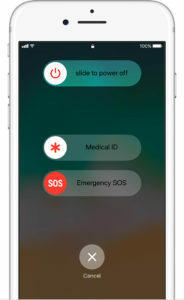 After a couple of seconds, the Emergency SOS options will pop-up on your screen. It’s that easy. Want an even quicker method? 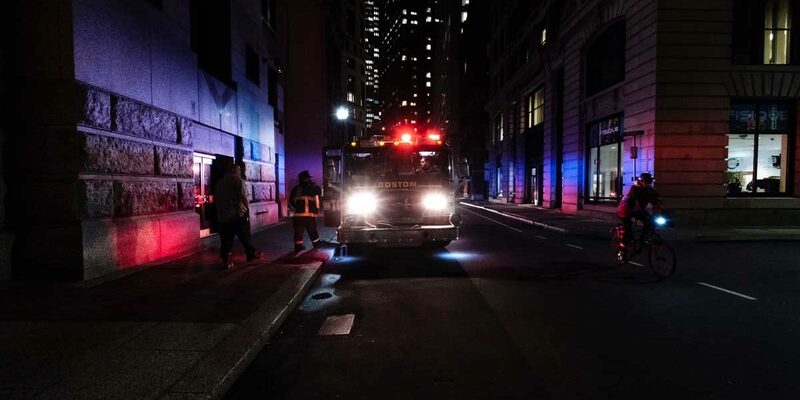 There is an Auto Call feature you can enable where pressing the right side button five times rapidly will call emergency services. To enable this option, go to Settings -> Emergency SOS. Don’t forget to also setup your Emergency Contacts by going to Settings -> Emergency SOS. You can set as many contacts as necessary. This will quickly alert friends and family in case of an emergency. One other cool feature in the iPhone iOS is the ability to store medical information. Maybe you have a medicinal allergy or a condition such as diabetes that medical personnel should know about. Store that information in your iPhone’s Medical ID so that first responders will know exactly what they need to. This could also be a life-saving measure. To manage your Medical ID, open the Apple Health App and head to the Medical ID tab on the bottom right side of the app. We hope this small amount of knowledge will help keep you safe.